So, what components make a good screenie? What gives your screenies that “Whoa!” factor? There are thousands of screenie makers out there. But only the truly elite know the secret to making awesome screenies. Well, I’m going to spill the beans on this one. I run a screenie directory on coley108300’s petpage, and I see hundreds of screenies every week. Some are good, some are bad, and some are completely awesome. In this guide, I will teach you how to make your screenies... well, awesome! A screenie is a screenshot you’ve taken of something that happened while you were on the computer. You can use many different graphics programs to personalize your screenies. I’m not going to get into detail about creating screenies because that is a completely different monster to tackle. There are plenty of guides for that. Just ask around the help boards. To start off, you should take a look around. See what other people have done with their screenies. Get a feel for what you should keep an eye out for. If you see something that makes your jaw drop or makes you roll on the floor laughing, then it would probably make a good screenie. There are five basic components to any good screenie. Each one will give your screenies that ability to stand out from the thousands of other screenies makers. You can tweak these components however you like. These are just what I’ve found to work for me. It is very important to have a constant theme in your screenies. Usually, this means just using the same font and font color when you make comments on a screenie. Some people will make drawings of their pet, like a narrator. Also, you should have a color theme throughout your page that compliments the font you use in all of your screenies. Let’s say you have a Baby Jubjub that will narrate your screenies. Try to use pastels (light blue, light yellow, light pink) in your page layout. Get it? Anyway, however you decide to present your opinion, make sure you are consistent throughout your screenies. Another example of variety would be to include a range of different jokes. There are players of all ages on Neopets, so make sure you have some screenies that everyone will enjoy. Not everyone will get your jokes or find them funny. So, to keep everyone happy, make some simple jokes for the youngsters, some sarcastic jokes for the older crowd, and some really tough ones for the adventurous crowd. 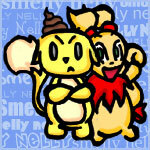 Also, do not forget that you are not restricted to screenies of what happens on just Neopets. You could include pictures of anything that happens to you while you’re on your computer. But remember, you must follow the Terms & Conditions. What good is a screenie that is hopelessly small or horribly fuzzy? None at all. Usually, the size issue happens when you are using an image hosting site that has size restrictions on the images you have. The site will shrink the image to fit within the restrictions. So, when you post the image on your page, it is teeny tiny and, often, very fuzzy. Just try to keep your images within or as close to the size restrictions as possible. Try to be unique. A lot of the screenie pages I’ve seen have Adam trying to scare people away from his asparagus. Or, they show what happens when you search for cheats. Try to stay away from well known screenies. Be creative when you “create” screenies. Take screenshots of things that you’ve never seen before. They should almost knock you out of your chair the first time you see them. After all, that’s what the “Whoa!” factor is. Your screenies should stand out and make people remember your page. I’ve seen one person who got into a fight with NPv2, literally. That was unique. Also, rare random events are good. If the Fountain Faerie visits you, screenie it! I’ve also seen people make fake random events. The fake events can be alterations to existing random events. If you find a noob on the chat boards, try to interact. But don’t be mean. Include yourself in your screenies. It adds character. And this brings me to my final topic. The single most important part of any good screenie is personality. I can’t tell you how many times I’ve looked at a screenie and that was it. Your viewers may not understand the concept or joke. You might need to elaborate. What made you take that picture? What were you thinking when you saw it? Sometimes you need to add a punch line, a short quip, or whatever you were thinking at the time. Add a little bit of you. If you’re sarcastic in real life, be sarcastic in your screenies. If you’re corny in real life, be corny in your screenies. If the event made you furious (the Pant Devil stole your wand of supernova), let people know. When you show emotion, the point comes across much clearer. People will tend to get more into what they’re reading if they can feel a part of it. If you make it personal, your readers will be able to connect with you. Remember, the most important part of making screenies is to have fun. Well, I guess that’s it for me. Go forth and screenie!